Generators are truly amazing machines severely needed during blackout due to (e.g. natural disasters, emergencies, etc. ), but they do require a little maintenance. By regularly having your generator maintained by a professional, this will increase the lifespan of your standby generator and keep it from breaking down. 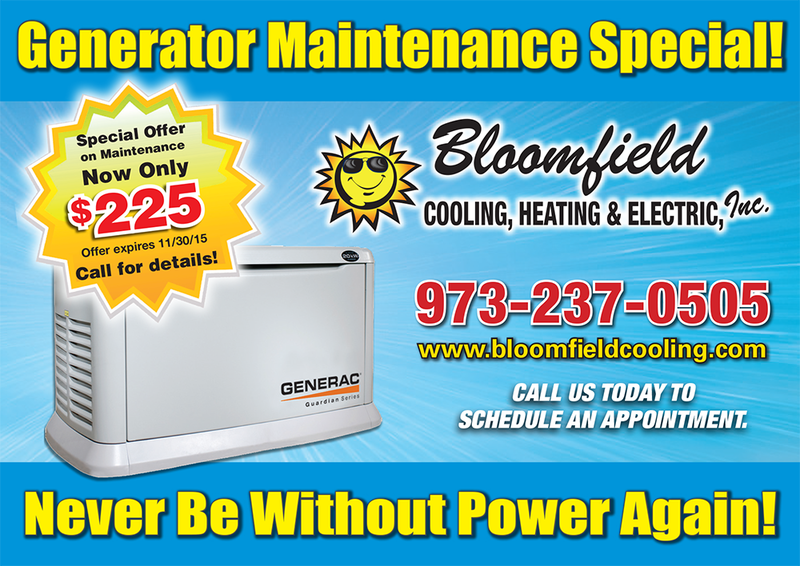 Here at Bloomfield Cooling, Heating and Electric, Inc., we ensure that your residential standby generator in Glen Ridge, NJ stays alive longer. 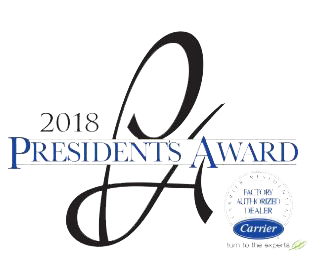 Once we install a generator, it is highly advisable to consider our Generator Maintenance club that allows access to two scheduled maintenance calls per year and a free diagnosis by a certified Generac generator specialist – all for a very reasonable flat fee! Some of the “perks” involved in ordering this plan include: the replacement of oil and oil filters; cleaning of spark plugs or doing a full replacement; changing out filters for new, clean ones; and other inspections to keep the worry away during the stormy months, or just in case an emergency arises. What’s worse than being stuck without power in a blackout? Having your generator buckle on you, leaving you in the blackout it was supposed to prevent! But, this can be avoided by simply sticking to a solid, trusted brand (Generac), and trusting professionals with amazing reviews to install your standby generator. By choosing us, you are choosing a sense of security when the power goes out. As environmental concerns grow, and household costs rise, we want to provide you with a product that is both friendly to the planet and your pocket. That’s why we choose Generac standby generators. They are incredibly efficient, saving you money and cutting down on electricity usage because they operate so efficiently. Just to make sure you know how to use your new Generac generator, we will give you the full break down so you understand completely how the system works. And, what’s more is that we will even simulate a power outage so that you can be assured knowing your Generac generator has you covered. We strive for 100% customer satisfaction, and our record shows. Bloomfield Cooling, Heating and Electric, Inc. was named Best of Essex in 2014 and 2015 by Suburban Essex Magazine’s Best of Essex Readers’ Choice Awards. Additionally we have received the Superior Service Award from Angie’s List for 10 years running. Contact us today! We will come to your home in the Glen Ridge, New Jersey area and provide you with a free in-home survey and provide further information about your next generator. Pick up the phone and give us a call at Bloomfield Cooling and Heating, Inc.